The classic deus ex machina...or is it? The third episode of this arc is a story of death and funerals as Reinhard and Kircheis close in on the killer and his motives. Karl von Reifeisen’s funeral is observed by our protagonists who note Hase’s dispassionate speech. Reinhard is then notified that his father had died of cirrhosis and they must go attend another funeral. When they return there had been another murder, but the nature of the attempted cleanup ultimately leads Kircheis to the murderer, though Reinhard was bothered by something. The episode begins at Karl’s burial which is attended by classmates and his parents who were all told that it was an accident. Hase gave the eulogy which Reinhard observed was well written, but delivered with no passion at all. Among the students, Bertz was notable for not taking the occassion seriously. After the eulogy, the women all cried as Reinhard predicted as everything seemed a formality. After the burial, Karl’s father pleaded for Reinhard to find the culprit, which Reinhard said he would do. However, Reinhard asked that it remain a secret that his son was murdered. Reifeisen agreed to do so, which bothered Reinhard because he seemed so obedient under the circumstances as though the culture of the military had taken away any resistance. As they returned to their room, Kircheis felt something was nagging him, but he couldn’t put a finger on it. When they returned, Reinhard received a call from a hospital that told him that his father had died from cirrhosis of the liver. Reinhard didn’t react other than acknowledging what he was told. 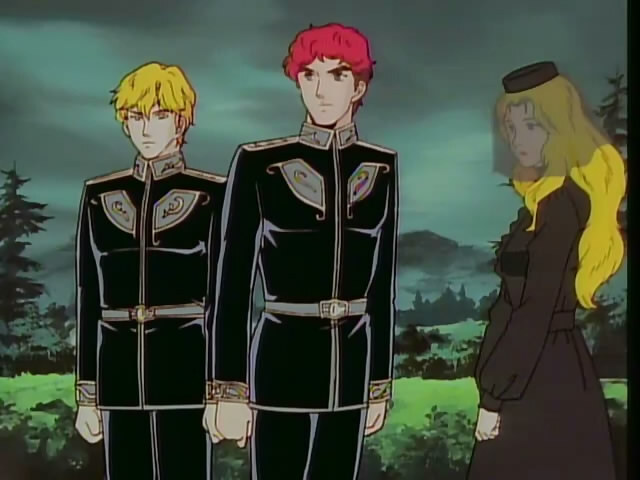 After the call ended, Kircheis walked over to try to convince Reinhard to attend the funeral, but Reinhard was always going to go since Annerose would be bothered if he didn’t. 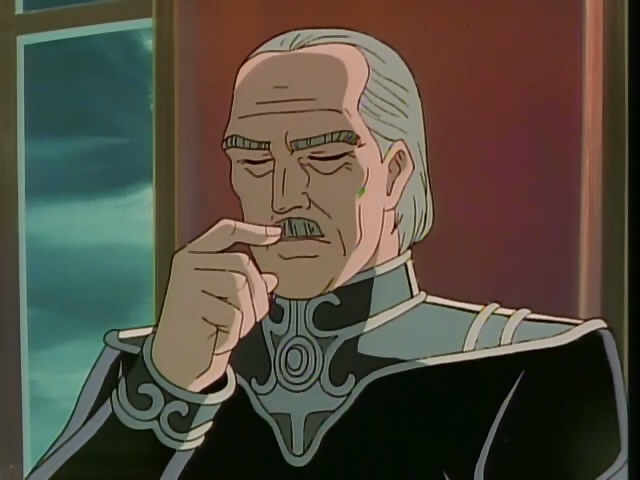 Kircheis remembered the fractious relationship Reinhard had with his father after Annerose was sold to the Kaiser. His father felt he didn’t have a choice so he pragmatically chose to take the money. He turned to drink as a result, but the decision itself supported the Kaiser and was why he hated his father from that point. Broken would only be the starting point in describing Reinhard's father. On the way to the funeral, Reinhard complained about his father drinking away all of the money he received for Annerose and then his military pension. Reinhard was also upset that the others attending were only there to attend to the affections of Annerose. No one but she would be mourning the death. At the funeral itself, two men walked past Kircheis wondering whether Reinhard’s father had turn down the title of baron or if he had been rejected from obtaining that title. 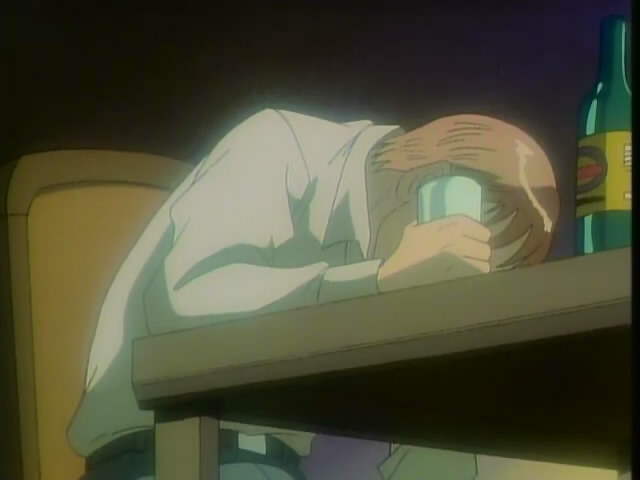 Kircheis felt that Reinhard probably believed the latter, and Kircheis remembered how upset that Reinhard’s father was that Reinhard had blamed him personally for a decision made by hundreds of fathers in the past. Reinhard and Kircheis talked to Annerose for a bit where Kircheis asked her to let them know if she needed anything from them. She was then pulled away by some of the Kaiser’s men who told her that she was needed to attend an opera that night. She walked away with the same forlorn look that she had when she left home. Reinhard said that at least they were halfway free, but they would have to free themselves the rest of the way. Annerose's permitted mourning time has now ended. There are more important things like operas to attend to now. They then returned to campus where an officer informed them that Bertz had been murdered in one of the rest rooms. The culprit had made a mess of the cleanup as there was a trail of blood on the floor, but it was cleaned off the wall. Reinhard went to talk to Steger, whom he mockingly thought was taking responsibility in his head only. Steger told him that Bertz was about to talk to him about Karl’s death, but Steger had simply forgotten to tell Reinhard of that before he left. Back at the scene, Kircheis asked to see photos of what the scene looked like earlier. The officer’s monitor was broken and could not display full color, but Kircheis had figured out the culprit as a result. I forgot to tell you this important piece of information that has now hindered you. When Reinhard returned, Kircheis revealed to Reinhard what he thought. With shirts laid out on the bed, he had Reinhard recall their conversation with Hase and about the question of who had scored in the football match. Since his answer was the team not in yellow, Reinhard figured out that Hase was color-blind. As a result of Rudolf’s laws, that would be seen as a genetic inferiority and at the very least he would be kicked out of the academy. This was as good a motive as any for committing the crimes. All the evidence seemed to be pointing that way, but now Reinhard was worried about how easily the evidence was piling up against Hase. Thoughts: The twist at the end seemed very interesting from my point of view. It seems very likely that Steger would have known about Hase’s condition and then used that to cover up the real corruption that was happening behind the scenes. The last episode will probably expose who was really behind everything.